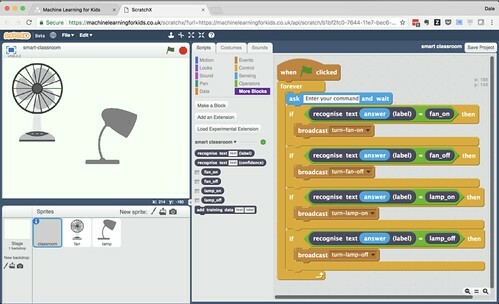 Scratch is a visual programming language and drag-and-drop coding platform for children. 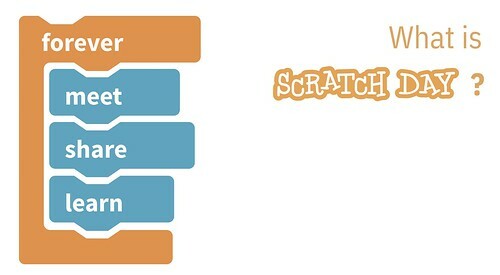 Scratch Day is an annual world-wide network of events where kids come together to make things in Scratch. Kids of different ages come together and meet each other. They share their experiences of coding – finding out the differences between what they each learn about coding in their different schools. They try and make something. 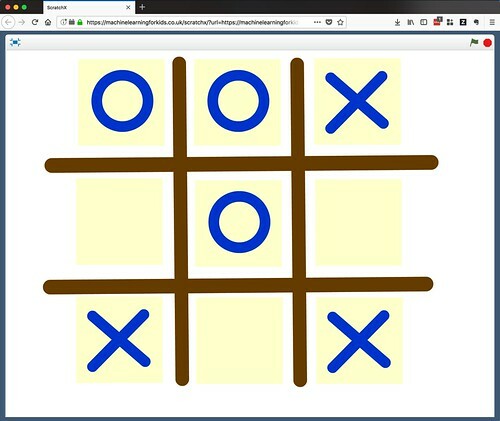 It’s basically a hack day for kids – where the kids are encouraged to use Scratch to make their hacks. Most importantly, they share their experiences. They talk about the things they tried, the challenges they faced, and the things they learned along the way. And they demo the things that worked. On May 12th that happened around the world, in close to a thousand venues, big and small. One of them was IBM Hursley. We invited local families to the lab to take part in a small local Scratch Day.